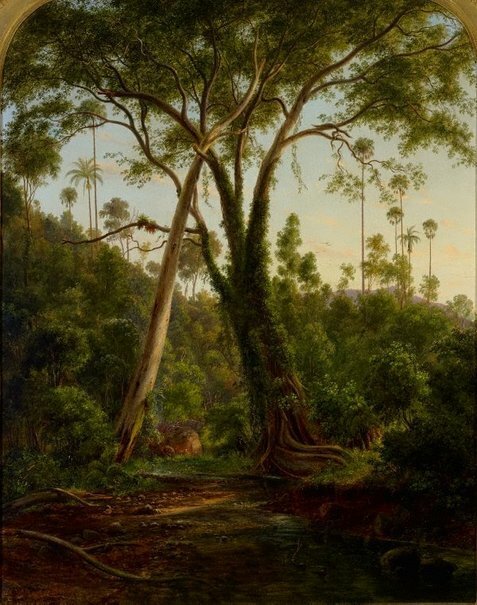 In the lead up to our exhibition at Wollongong Art Gallery, we have been trying to learn more about some of the Aboriginal stories of the local creeks. As part of our project, there will be a tour with Les Bursill in late January. Les is a Dharawal historian, archaeologist, anthropologist, and publisher, and he will walk with us up Ooaree Creek (near Gerringong), details here. 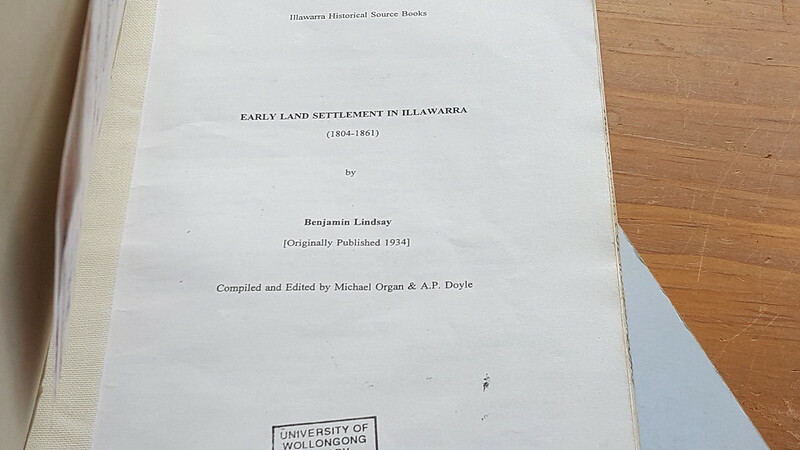 In the meantime, we thought it would be a good idea to have a look at some of the books that have been published about the histories of the Illawarra, to see what we could find about Aboriginal relationships to the waterways. Aboriginal Histories of the Waterways of the Illawarra. 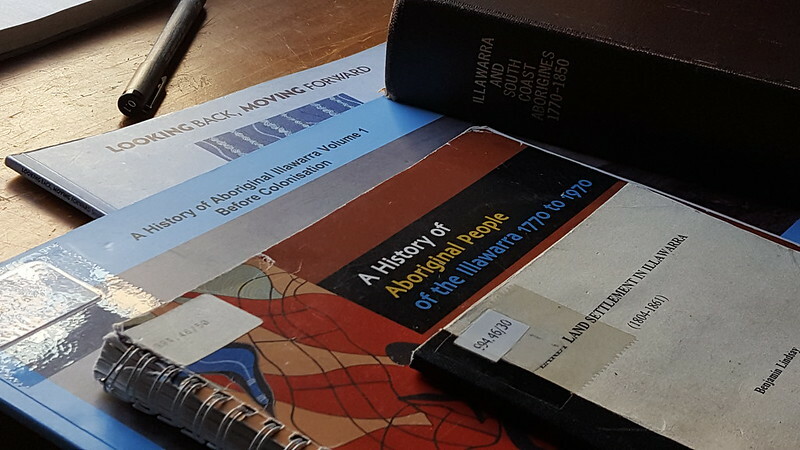 Researching Indigenous Australian histories is a challenge. Many of the available documents explaining the history of the Illawarra region and the changes brought about by European colonisation merely ripple the surface, and a murky one at that. Lucas met me at Central Station one morning a few months back and gave me a heavy bag of books. Subsequently, I set about reading each book from cover to cover in the hope of finding something of substance. The main thing I am left with from my research is the reality that Indigenous Australians do not record natural histories in the same way as the Colonials who invaded so-called ‘terra nullius’. My blog post is a bit of a miscellany of things I find noteworthy or relevant. It is my hope that others who read this will be able to share some interesting insights into the Waterways of the Illawarra (WOTI) so that this digital space will consequently become a creative common of information on the WOTI. 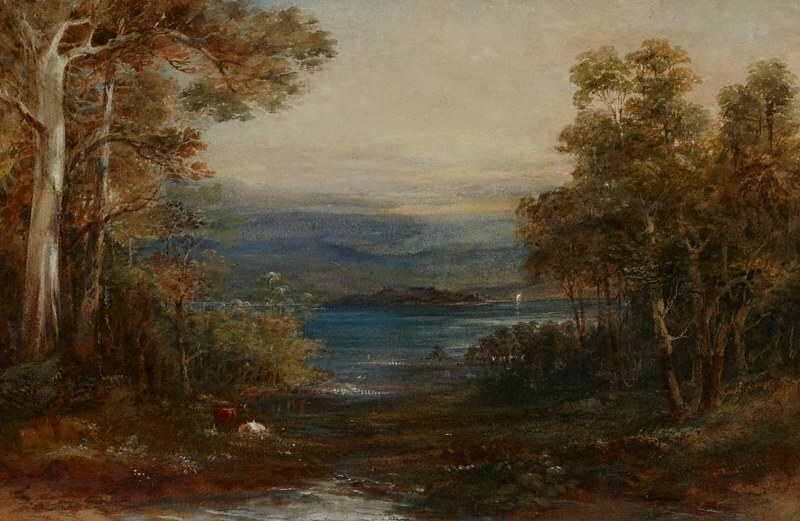 Artists including Augustus Earle, Conrad Martens, John Skinner Prout, George French Angas, Eugene von Guérard, Nicholas Chevalier and were some of the first European artists to venture to the ‘south side’ to document the natural environment of the Illawarra region , yet as you can see in the images included with this blog post, their view shows a romanticised, picturesque landscape – an amalgamation of natural and introduced species. I read in the publication A history of Aboriginal Illawarra Volume 1 Before Colonisation, written by Mike Donaldson, Les Bursill and Mary Jacobs, that the two major Indigenous groups of the Illawarra region were the Dharawal and the Dhurga. The Dharawal clans spoke one language, the Dhurga spoke several different dialects. ‘Dharawal people are distinguished as fresh water, bitter water or salt water people depending on whether they occupied the coastal regions, the swamps of the plateaus and inland river valleys’ . The waterways, rivers, lakes and coastal waters of the Illawarra were important sources of food and spiritual significance and like most ‘early settler’ stories, the first European invaders would not have survived without the assistance of intimate Indigenous knowledge of the region. Merriman Island in the middle of Wallaga Lake – is ‘Umbarra’, the black duck – the totem of the Yuin nation: “Totems play an important part in daily life, affecting with whom people could associate, the ceremonies they could or could not perform and attend, and what they could harvest and eat” . It has been interesting for me to learn about totems and the beliefs surrounding them, something I didn’t know much about before, having spent the majority of my school years in New Zealand. It’s a poor excuse, seeing as I have spent the better part of my adult life in Australia and I wonder why it is that I didn’t know more about this before now. There is a nice story here explaining the history of ‘Umbarra’. I find totems interesting as they reiterate the interconnectedness of Aboriginal culture. This has been an opportunity for me to learn why colonial perspectives were so at odds with the Indigenous World View – as demonstrated in the 1880s, when the colonial government decided that many of the animals vital to the life force of Indigenous Australians were noxious. The Waterways of the Illawarra today would be unrecognisable to the early Indigenous community due to a few different factors. Many middens were destroyed in the 1860s to make lime and would consequently give Shellharbour its name. “The public camping grounds at Bulli and Windang are sited on middens and at Port Kembla one midden runs 600 meters and takes in Boiler’s Point and the Northern End of North Beach” . This is nothing new in the history of colonisation – a tailoring of the landscape to make way for ‘progress’. 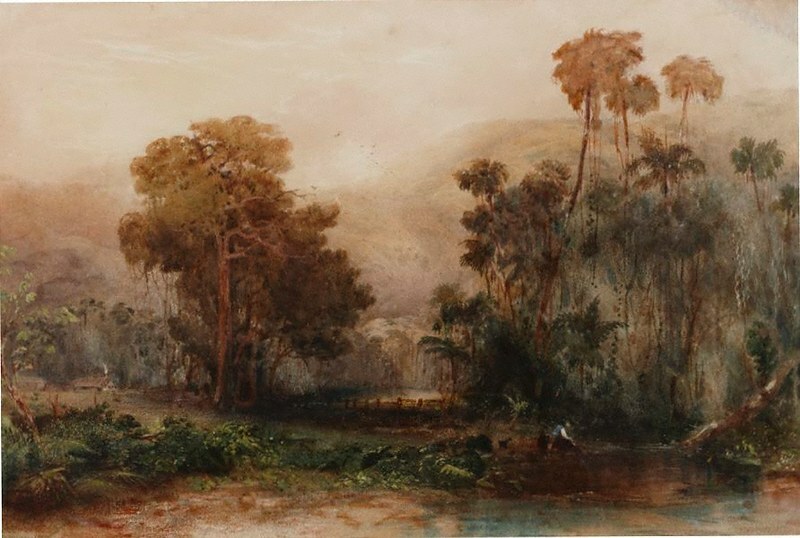 This alteration, evident on a physical level through the construction of dams, weirs, fish traps, the bridging of streams and through the construction of roads and railways – impacted the waterways of the Illawarra, modifying the structure of the bird and fish life, carving into and covering over Indigenous song lines, dreaming tracks and personal histories. There is some sort of strange irony in the fact that many camping grounds in the Illawarra region sit on these middens – sites of Indigenous history now inhabited by temporary dwellers and dwellings. Thanks to Michael Organ for tipping us off for some of these references and connections. Michael’s book is Illawarra and South Coast Aborigines 1770-1850.